One valuable lesson of the financial crisis was that derivatives and risk practitioners don't really understand the products they're dealing with. 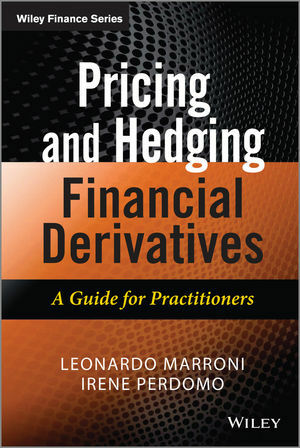 Written by a practitioner for practitioners, this book delivers the kind of knowledge and skills traders and finance professionals need to fully understand derivatives and price and hedge them effectively. Most derivatives books are written by academics and are long on theory and short on the day-to-day realities of derivatives trading. Of the few practical guides available, very few of those cover pricing and hedging—two critical topics for traders. What matters to practitioners is what happens on the trading floor—information only seasoned practitioners such as authors Marroni and Perdomo can impart. LEONARDO MARRONI is an asset manager with the Emerging Markets team at GLG Partners in London. He joined in January 2010 from Barclays where he was working as a structurer in the commodities division. Before joining Barclays, Leonardo worked in the equity structured products trading team at Banca Caboto in London where he was responsible for structuring and trading algorithmic products. Prior to this, Leonardo was part of the interest rates derivatives trading team at Banca Caboto in Milan. Leonardo graduated in Economics from Bocconi University in Milan. IRENE PERDOMO trades base metals at Noble in Singapore. Prior to this, she worked as a structurer for the commodities division of Barclays in London. Irene has an MBA from IESE Business School in Barcelona. She is a native of Uruguay and she studied Computer Science Engineering in Montevideo. She also spent time studying finance at the University of Chicago Booth School of Business. Before working in the finance industry, she worked in IT, in South America and the Indian sub-continent.